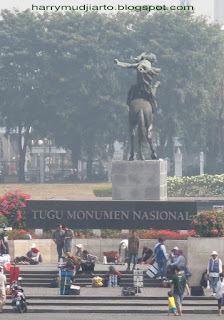 Monas stands for Monumen Nasional (National Monument), which is one of the famous landmarks in Jakarta, the capital city of Indonesia. 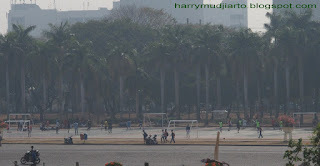 Monas was built for reminiscing Indonesia Independence from the Netherlands. 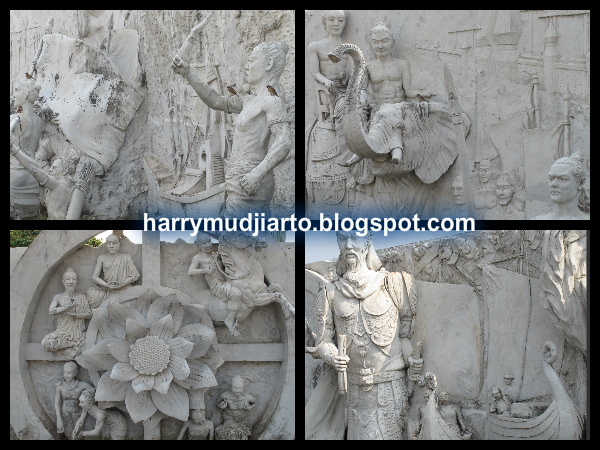 It is 132 meter tall and crowned by fire statue coated with gold. 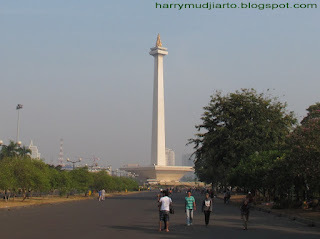 Monas also has viewing platform in 115 meter high, right below the fire gold statue, besides the museum and Hall of Independence in the lower level of this giant obelisk. 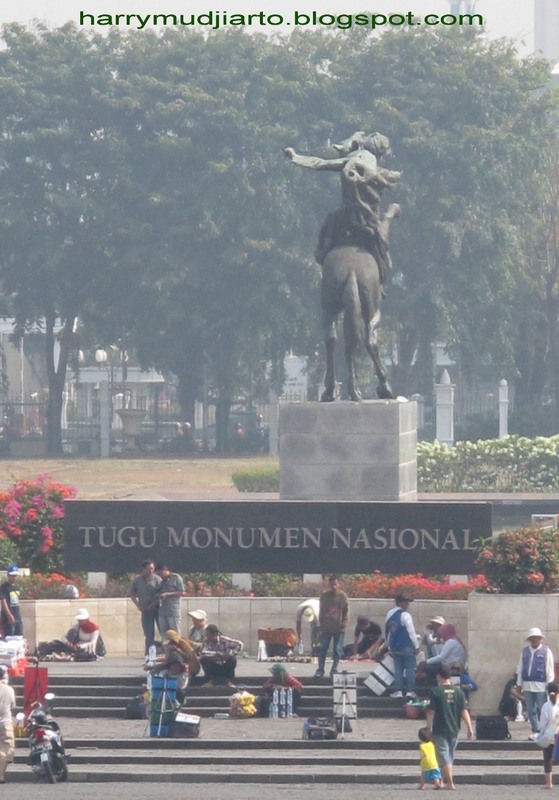 Monas opens daily for public from 8 am to 3 pm (local time), except for the last Monday of each month when the monument is closed. 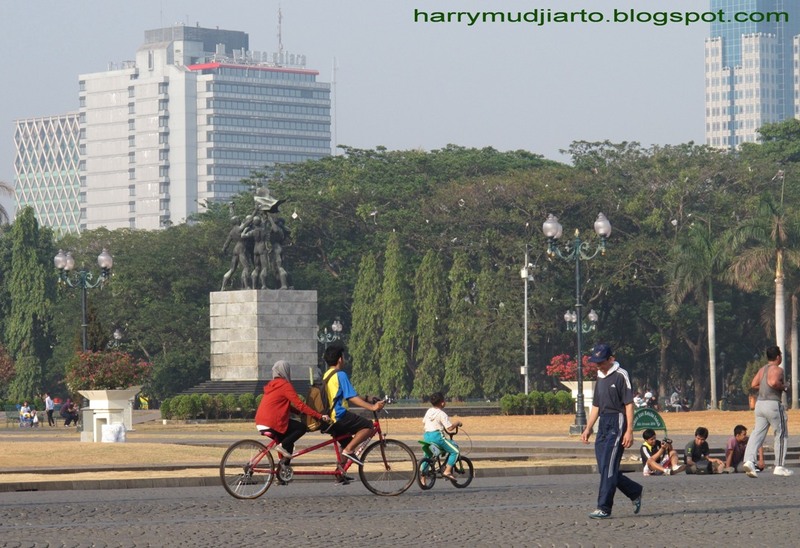 I stepped on my feet into Monas area on Saturday morning, when the sky was so clear with no clouds, the sun was warm and the wind was comfy. Well, actually I arrived too early. It was not 8 am yet and I decided to walk through wide pedestrian to the tunnel’s gate to enter Monas (located across to the Monas north gate), joined with many visitors who spent their morning jogging, playing soccer, cycling or just walking down the pedestrian. The gate was opened at 8.05 am and I was one of the first groups of visitors. 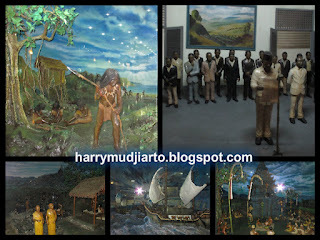 After walking down through the basement, I bought a ticket to enter the monument at Rp 2.500,- but it’s only to give me access to the second level of the monument (the viewing platform is on third level), the museum and Hall of Independence. 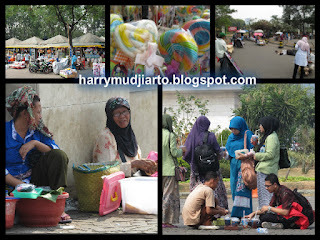 I had to buy another ticket in first level at Rp 7.500,- to get the access to third level. 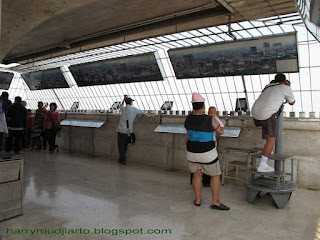 Considering that it was weekend and there would be hundreds of visitors planned to reach third level, I decided directly went up and Thank God, again I was one of the first groups (there's only 1 elevator for about 6 persons). 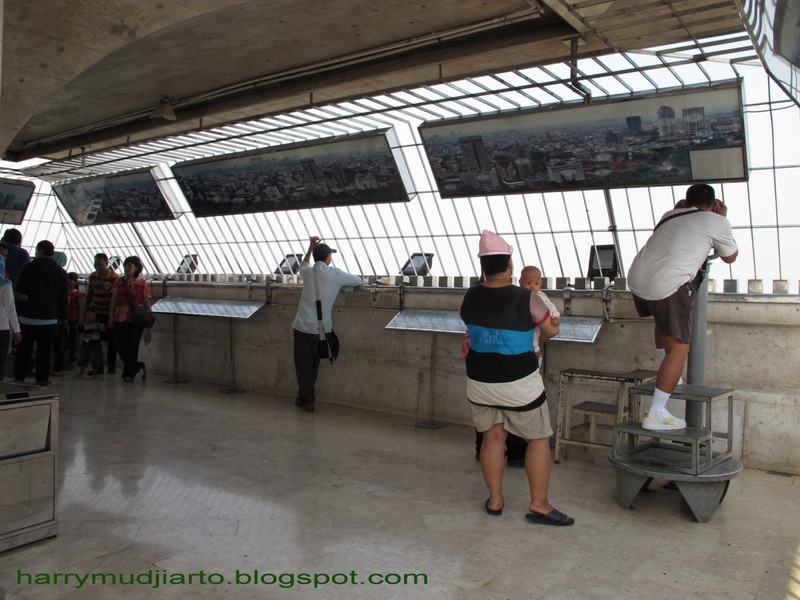 It took a couple of minutes in elevator before I stepped onto 11 meter square viewing platform. The view was stunning but unfortunately the view was not so clear caused by pollution (I guess), something like smoke hanged in among the skyscrapers reducing visibility. 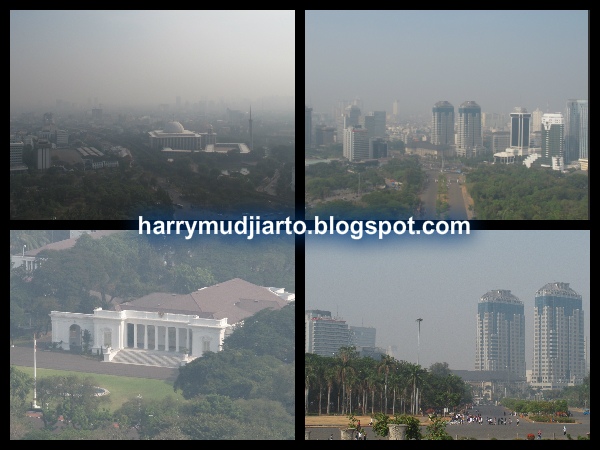 Anyway, I could see the entire of Central Jakarta, some of South Jakarta and West Jakarta from this viewing platform. 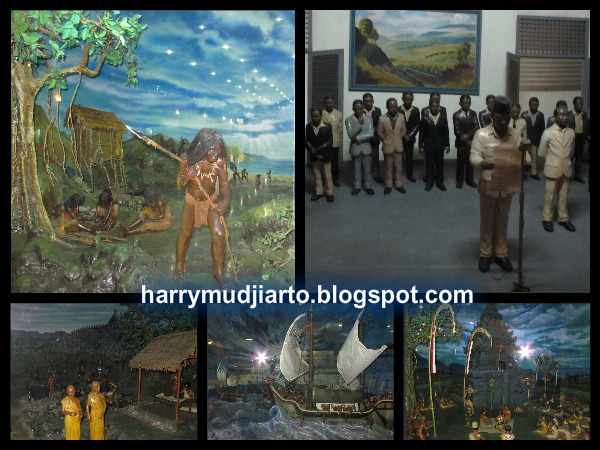 Went down to the second level, I continued to the basement and entered the museum with many miniatures about moments of Indonesia history inside glass boxes, since ancient era to Indonesia Independence era. 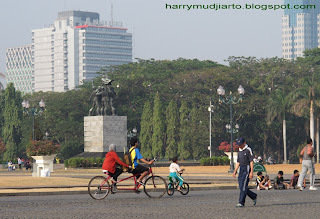 I was not sure what was in my mind so I forgot and skipped the Hall of Independence which is very much meaningful for me as an Indonesian, with the original first ever Indonesia National Flag Sang Saka Merah Putih (no longer displayed), the original text of the Proclamation of Independence, 4 tons Independence Gate with a recording of Soekarno (Founding President of Indonesia) reading the proclamation on 17th August1945, etc. 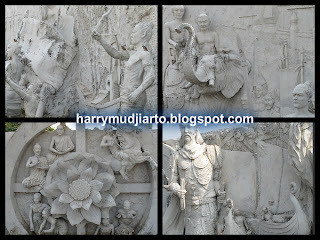 Monas is also surrounded by reliefs of Indonesia historical moments on the outer side of this obelisk since ancient era, like Gajah Mada, one of the great generals in Majapahit Empire, colonial and Japanese era, to post independence development era. There are a couple of car trains from IRTI parking lot to Monas Entry Gate and it’s FREE of charge, but have to show entry ticket from Monas if want to ride the car train back to IRTI parking lot from Monas Entry Gate. 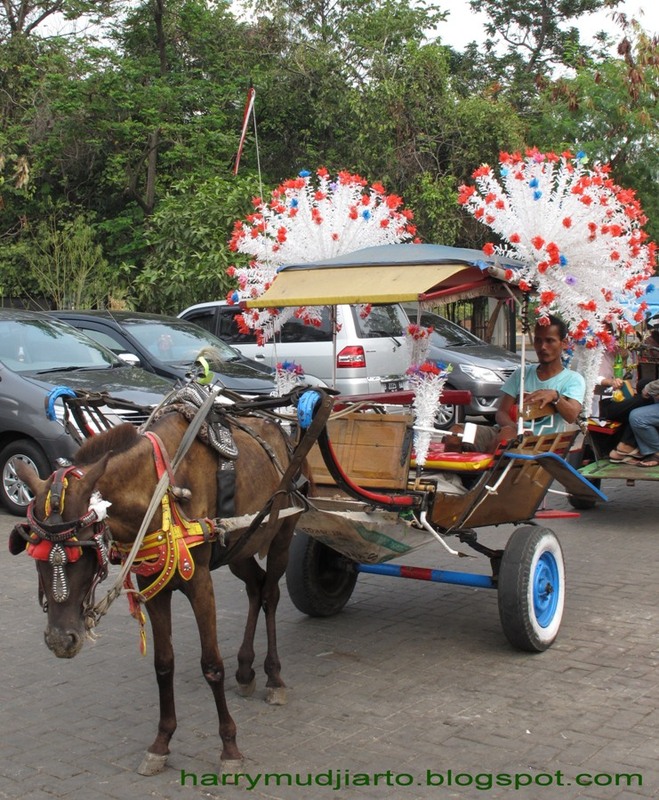 There are so many Delman (wagon/gig pulled by horse) rented to go around Monas area. There are many of traders selling light meals and beverages, but not allowed to consume inside The Obelisk.